Thiele-Streamfeeder and our network of authorized resellers are dedicated to providing our customers with the most responsive after-sale service support. If you are in need of assistance, please contact your local authorized reseller. 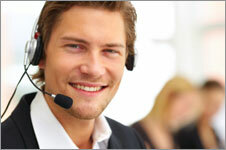 If you require factory support, our team of helpful service technicians is also available to assist you.